How to prepare for long distance home relocation? 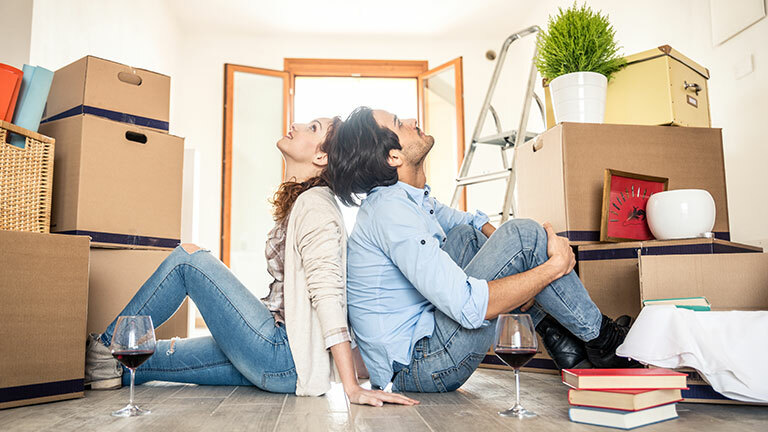 Moving is always a stressful time for almost everyone, whether you are moving out to a new city or state which has a distance of hundreds or thousands kilometers. The most important thing to remember when it comes to long distance move is you should always be ready in advance for your upcoming shifting. It’s a big truth that a long-distance move requires a lot of planning, but if you plan your shifting from beginning to endpoint in advance (3-4 month before your relocation), you will have a stress-free shifting experience. Here we will like to discuss some of the essential tips to take care during a long-distance move. Plan your move as soon as possible: The first step you must do is to make a proper plan when you are moving to a new city or country. Because, if you don’t have proper planning, you will have to face a lot of stress during your entire relocation process. So, always try to plan everything, which you have to do for your move, from the day you know you have to move to a new place. Prioritizing all your tasks will help you to stay planned while shifting. Prepare a Moving Calendar: When you are relocating to a long distance you will have to do complete a lot of tasks which can give you a lot of stress. It can also confuse which job you should do at first and which one at last, and you can also forget essential works in a hurry. So, it’s always the best option to make a proper list of all the tasks you have to complete within the planned time frame so that you will not be frustrated during your relocation. Update your new address at your important firms: Its good idea to update your address at all your necessary firms like banks, insurance company, internet provider, post office, schools, office, etc. because when you are relocating to a different city, your address is going to be changed completely. If you do not update your new address in advance, you will have to face many difficulties (like, you will not receive your important documents on time which has been sent from your firms, it can also cause you significant loss). Compare more than three moving companies before hiring them: To make your Shifting hassle free, you must hire a moving company, because a long-distance move needs a lot of tasks to be completed carefully. But, before hiring a Movers and Packers your need to do an in-depth verification (like, they are reliable to complete your move or not, their reviews and ratings on different websites, how much they will charge for your move, etc.). If you do not do complete verification of the moving company, they can also cheat you because all companies are not genuine. So, it’s always advised to compare more than 3 Shifting companies near you before hiring them, and then decide which is more suitable as per your shifting requirements. You can also contact a well-reputed company like Assure Shift for hiring a reliable Relocation service provider quickly and easily. Declutter all your unnecessary items: Relocating becomes more difficult especially when you have a lot of goods to move, but you can get rid of your unwanted products (no more in your use) by decluttering them before you start packing your goods. Decluttering is a time taking process, but it will help you to sort all the goods which you want to shift in your new home. Once you have decided to sort all your belongings, you must start 6-7 weeks before your moving date. Once, you have classified all your unnecessary goods (which are in good condition), you can sell them (online or offline) to earn some money. You can also donate in a charity (needy people), to bring a smile on their face. Check if all your goods are packed with best quality packing material: After decluttering is completed, next is the most hectic task packing of all your goods appropriately (which will be done by your movers after hiring them). In long distance shifting, your items will be handled by multiple workers and then loaded into the truck, so make sure to check that all your goods are properly packed. Try to be available at the time when your Movers are packing your assets, ensuring that they are wrapping them using the best quality packing material and carton boxes so that they will remain undamaged during your entire relocation process. Label all your boxes accurately: After the packing is over, don’t forget to guide your movers to label all your packed boxes, according to the items are placed in each box. You can also mark the boxes with different colors like red for the bedroom, green for the kitchen, etc. It will help you and your movers during unloading and unpacking at your new destination. Disconnection of all your utilities: Always remember to call your municipal service provider, electricity provider, gas agency, internet provider, water supply, etc. for disconnection of all these utilities before 1 week of your shifting date. Inform them to disconnect all these utility connections on the day when you are shifting, so that your daily routine will not be disturbed in the last moments of your shifting. Remember to pack a special kit for the packing day: During long distance move, your goods can sometimes take more than one or two week to reach your new destination (due to the long distance). It’s challenging to live without your daily use possessions, so it’s good to pack an individual and small kit of all your essential things and keep it handy like, Clothes, Toiletries, Toys, Medicines, Charges (of your mobiles and electronic devices), Game items (video game, Ludo, etc.). It will help you and your dear ones to enjoy their life in your new home. Check all your belongings before Packers and Movers leave your place: After your movers deliver all your goods in your new house, be ready to check them before the movers leave your home. Be smart to ensure the safe delivery of your assets, by testing them twice. You can quickly figure out if any of your goods are missing or damaged. If you find any damages, you can complain to the moving company. Avail Moving Insurance: Before shifting your goods, you must purchase a moving Insurance, so that you can claim a refund against missing or damaged goods. So, once you buy this Insurance service, you can sit back relax having peace of mind that your belongings are in safe hands. Don’t forget to tip your Movers: At last never forget to tip your movers, as it is one of the particular ways to thank and appreciate them for their hard work. You can also offer them some snacks and drinks after arrival at your new home, this will make your respectable impression in front of your movers, and they will be happy. Now, we are sure that these tips mentioned above will help you complete your long distance shifting efficiently and start your life at a new place.